From Butler, go north on U.S. Highway 71 to Passaic, exit onto County Highway D. Go east on Hwy. D for 2.75 miles to County Highway Z. Turn left (north)on Hwy. Z and go for 2.1 miles. The cemetery is in the churchyard of Mt. 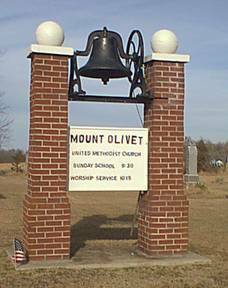 Olivet Church, just around the curve on the north side of the road.